An Alstom Citadis Spirit LRV. Credit: William Cook Rail. 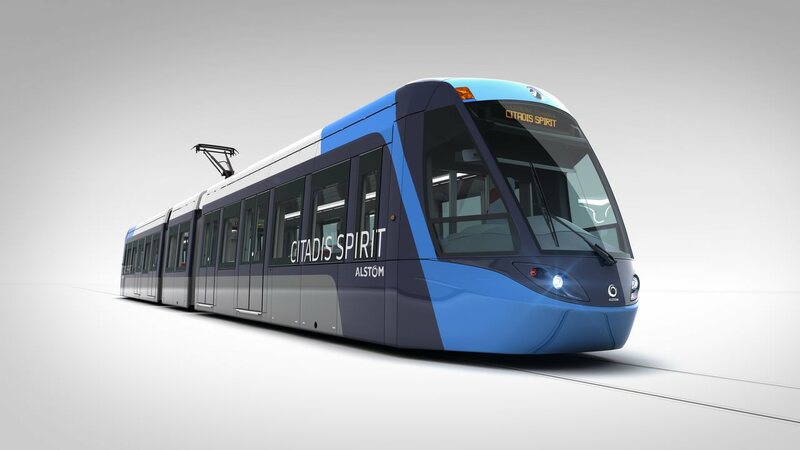 British engineering firm William Cook Rail has secured a potentially ‘multi-million pound’ bogie part order for Alstom’s range of Citadis Spirit light rail vehicles (LRVs) in Ottawa, Canada. The steel components will be precision engineered at William Cook’s £15 million (around €16.5 million) plant in Leeds, West Yorkshire, to support a €400 million supply and maintenance contract with the Rideau Transit Group. Rideau Transit Group – made of SNC-Lavalin, ACS Infrastructure Canada and EllisDon – was selected to design, build, finance and maintain the first €1.5 billion line of the Ottawa Light Rapid Transit system. The system is expected to enter full service in spring 2018. William Cook Rail’s initial contract covers five train sets but it says a follow up order could cover more. Charles-Frederic Boisson, domain director of Metallic at Alstom, added: “We aim to build experience with a global panel of mature suppliers such as William Cook, and support and reward them when they demonstrate operational excellence and competitiveness on past projects. Congratulations to William Cook Rail on winning this order against, presumably, stiff international competition. This makes the the chairman’s comments a trifle odd. Why should any organisation buy British if that means buying second-rate?